Here at Barnes Interiors, we like to think of ourselves as the office partitioning experts! We have partitioned a wide range of different buildings and offices – greatly improving the working environments of a wide range clients. We frequently manage projects which involve a major reorganisation of a particular work space, resulting in a complete transformation of the office environment. However, we also provide a popular solution for those scenarios when you need a lower key approach – just one or two extra rooms or offices – rather than a complete refit. It could be that you are happy with your open plan environment but need to section-off as small area to provide privacy for meetings or other purposes. To support businesses with exactly this requirement we offer a range of flexible modular office partitions, available in a choice of different materials. What are modular office partitions? Modular meeting rooms and offices are complete rooms which can be dropped directly into any open plan area to quickly and efficiently divide and enhance your work space. There are different partition types available but probably the most common choice that we install is made out of glass. Using glass helps you to retain an open-plan feel and encourage the flow of light throughout the work space. We can also add colour or bespoke designs to your modular office partitions to give them a unique and attractive look-and-feel. The great benefit of the modular approach, is that it is fast and easy to install so there is minimum upset to your business and very little mess or disruption in your office space. What are the advantages of modular office partitions? 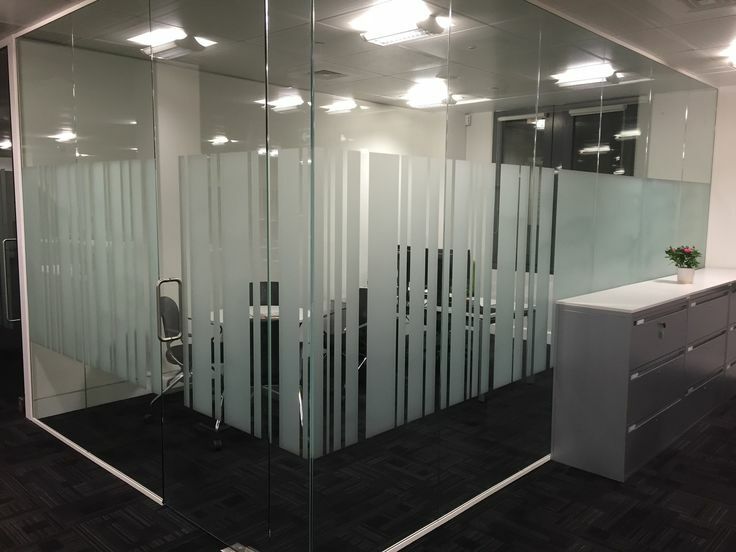 Modular office partitions can be supplied in a range of different materials including glass which will help to retain the flow of light through your work space. Materials can be sound-proofed for privacy as well. Could your office space be improved with modular office partitions? If you need to divide or reorganise your office space in an easy and efficient way then Barnes Interiors can assist you with the right modular office partitions for your work space. Get in touch with us today and we will be happy to discuss your requirements.